You’ll have friends in higher places in 2019 dear Libra, plus you’ll be going places. Or you’ll be snuggling up on the couch with the one you love, with one eye on a job site on your phone. That’s right lovely Libra, even though you’ve got a very big and wonderful reputation as the ‘love’ sign, this is the year when if you ain’t happy at work then you’re going to bring it home with you and this could mean that the only sugar your Honey Monster’s getting will be the sugar on his Sugar Puffs. Elsewhere, Jupiter’s also in a place that encourages you to extend your social/digital reach, so if you’re one of the 10 remaining people on the planet that hasn’t yet embraced social media, then this could be your year to plant your flag on this little moon, or you’ll join more sites if you’re bored with the one that you’re on. For all you Librans that are okay in the career department thank you very much, and perhaps have a cushy little number and don’t want to rock the boat or are happy with the status quo, then you’re going to be directing all that fierce energy of yours into your home, like making a house a home or renting out a spare room if you’re rattling around yours like a pea in a drum. 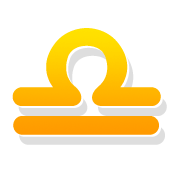 Libra Horoscope 2019 predicts that this is a year for mature and practical decision-making and for really applying the lessons from the past and not making excuses for yourself repeating them. You might be moving an elderly parent in to live with you or revisiting the past in another way that you’re maybe not quite sure of at first, but that we feel will promote greater feelings of emotional, and possibly financial security in the fullness of time. What will unite all you lovely Librans is that you’ll be made more aware of the politics at work and whose face fits and whose face doesn’t, or you’ll see the lengths that some people will go to for 20 pence more per hour. There’s part of you that admires naked ambition because it gets people on and there’s part of you that thinks ‘how can they be bothered with all that cut and thrust?’ And you may not see yourself as a social climber, but there might be a little of this about you, or you’ll see this in those around you and, so what! The last time we checked, wanting to better oneself wasn’t a hanging offence and this doesn’t mean going all Hyacinth Bouquet on us, or forgetting your roots. And speaking of roots (do you need yours doing? ), this is also a year when old faces pitch back up in your life, and perhaps even a reformed character that you once couldn’t stand but that time and age seem to have mellowed like a fine wine or cheese. Ew. Let’s go with wine. Now, what does 2019 yearly Horoscope hold for your love life, dear Libra? The year gets off to a saucy start that is bound to melt your polar ice caps and maybe even contribute to your own little spot of global warming because the red-hot passion planet Mars is in your love zone right from the start of the year pretty much, so you’ll feed off of other people’s energy and enthusiasm like a good ‘un. It’s so ultra-important that you spend time with positive upbeat people whether you’re single or taken, and you could also be magnetically attracted to someone, whether you’re single or taken. This is also a time when you’ll find that your partner might ditch his pyjamas – yes even in the depths of winter – in an attempt to get friskier! This could be what you’ve been dreaming of or the stuff of nightmares! But seriously, the fab news that we have, and the jewel in the crown of your 2019 Libra love horoscope let’s say, is that both love planets, that’s your ruler Venus, and Mars, will be in your sign from the 5th of October until the 9th of October, and so this is your window of opportunity to either do it, propose it, lay it on the line - or simply feel it after spending all that precious energy fighting it. And on that note, you’re gonna be feeling great about yourself at your birthday time anyway because the sun’s in your sign at this time too, obvs, and this peps up you up like an endorphin release would, putting you right in the mood for love. For the single among you, Libra Love Horoscope 2019 predicts that your wider window of opportunity extends back all the way to the 15th of September because this is when Venus begins her journey through your sign, and this is when you become friends again with your partner if you’ve let life’s pressures chip away at the romantic side of life, while all you single Librans will find that this is when you’re at your most successful in the dating game, but as we said at the top, your career is also going to be a priority, or you’ll fall for head over heels for someone that is at the top of their game, or maybe even your boss because you’re attracted to the entrepreneurial, go-getting type. Or you’ll be trying to encourage your partner of years to be more like this and to go out and grab opportunities that are going to make your life easier and more comfortable, and power might be the ultimate aphrodisiac. Are you a single Libra? Check out Libra Single Love Horoscope 2019! And one more thing, if it’s an old-fashioned wooing that you’re looking for, them keep ‘em peeled from around the 21st of April onwards because this is when you might be being wooed by one of the ‘fish in the sea’ looking for a spring fling, because this is when Venus finds her way into your opposite sign of Aries, aka your love zone!